Discussion in 'DIY E-Liquid - Guides, Tips & Tricks!' started by RocketPuppy, Jul 2, 2014. * If you hear or see new suppliers adding diy flavors, or if a company has added new venders, please comment below or pm me. * If anyone has had any problems with any of the suppliers, please comment comment below. Disclaimer: RocketPuppy is in no way affiliated with any of the companies below. txgirl3eb, WVJammer, roulettegrl67 and 16 others like this. roulettegrl67, oreon.souza, TrashCat and 10 others like this. That's fantastic information!!! You should start a thread with that. Thank you! Wonderful info, Azyre. Thanks for sharing your hard work! Wow, thanks for all the work! Started a thread with this list. Hope everyone enjoys it. Amazing work!! Saved me a lot of time!! I just received my ($100+) first order from http://www.diy-ejuice.com/ based in Canada. My concern is that no bottle has a manufacturer's label. with the mfg & flavor printed in below. Not a word about this on their site. Are these genuine? or generic imitation flavors??? Link to pic No link, can't make it work on this site. This seems odd... Anybody experienced with these guys? Do you mean they're rebottling the flavors? Lots of places do this because they buy in bulk. No experience with them, but I would sure contact them and get your questions answered. They might just be ordering in bulk, and then bottling with home made labels? Many of the places I order from rebottle! It's common practice in flavors sold for vaping. aikanae and Shark Vape like this. I put a note on it to read your warning. I'm sorry you had problems, and I appreciate the information. I have never seen this re-bottling practice before. I have never seen food flavorings without a mfg label. That label is my only documentation of authenticity. I've never ordered from that company, but yes, re-labeling is common. I've ordered from ECX, RTS, PureVapes, Mama J's, Vaperstek, Eliquid Mart.... all are re-bottled and re-labled. Bull City sells original bottles of FA and Caps, but the others are re-bottled, as far as I know. Very common with DIY flavorings. 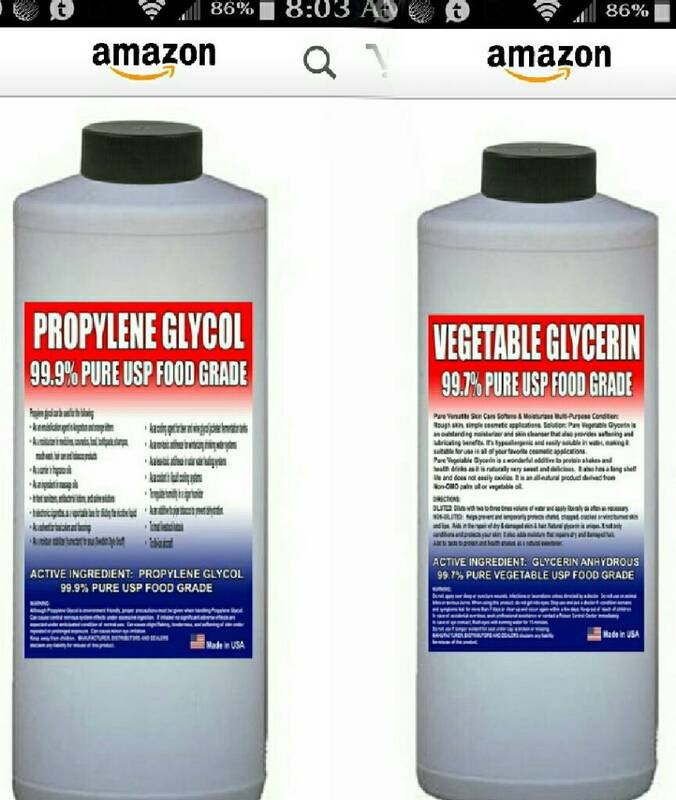 so where is the cheapest place to buy 5 gal of pg maybe 5 vg and safe ? I, for one, can vouch for Kelly @ http://www.diy-ejuice.com. They are my primary flavoring supplier and their CS is unsurpassed. They do rebottle, but rebottle the true flavoring undiluted. I have bought direct from TPA and CAP in the past and all DIY eJuice flavoring is identical to the directly sourced ones. Buying from them is convenient for me since they carry TPA, CAP, FA, FW, HS, IWA, BF and super concentrates. I am pretty sure that I am forgetting some flavorists in this enumeration. Most importantly, I don't have to deal with Customs Canada buying from them. Was pondering about the rebottling question. In general, I don't mind rebottling as long as the flavor is unaltered. The only rebottling that unsettles me is with HS Essence flavours. I just think that their classic 10 ml bottles should be left as is. Azyre and Huckleberried like this. I re-bottle Inawera flavoring. I had one gentleman last year, "AHEM" if I can call him that, who,upon receiving my re-bottled inawera flavorings threatened me with contacting my state attorney general for what he considered to be dis-honest advertising/ fraud for not sending it in the original bottles. I told him at the time this is actually the norm for many businesses so that we can actually sell them cheaper than their manufacturing "bottled" flavoring counterparts. Well he was having none of it and since he did not open the bottles I did take them back. I suppose my point is that re-bottling many times can actually save you money. That being said, I can also see why people would also want original bottles. BUt if you are dealing with a reputable company, there really is no cause for alarm..
aikanae, misswish and BumbaCLot like this. aikanae and CryStalLuV545 like this. What I found on amazon seemed pretty reasonable..
OK. I just sent you a message because I didn't want to cut nobody's throat here..I asked on another forum a question about these LoRann oil flavorings I got on Amazon by mistake a few months back when I was a newbie... I didn't no a vender ran the forum.so I feel bad now..but I still want to no if These are right to use.. sorry for pestering you RocketPuppy. Are these the right products to use ?? 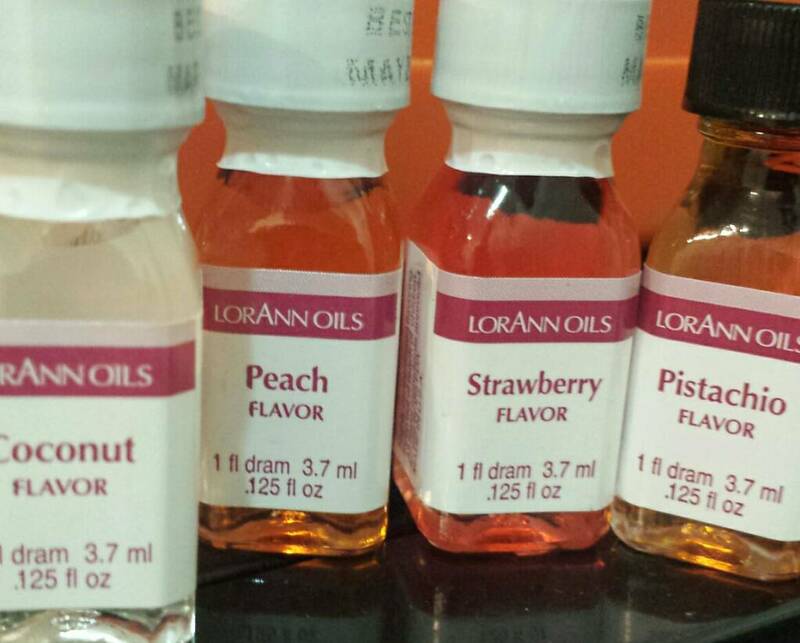 @CryStalLuV545 You can use those flavorings and pg/vg. There are better flavorings available, though. You can check the very first post of this guide to see a bunch of options. CryStalLuV545 and misswish like this. Well being there here...it's not worth the trouble returning em..thanks pal. While I now know that this chart does not take all of the potential "baddies" into account, this might help you decide which Lorann flavors you would like to vape. Thank you SOOOO much... As I'm just now beginning my DIY journey, your spreadsheet is invaluable... Even more so as a Canadian vaper who feels ripped off by prices here. RocketPuppy... You deserve a HUGE thank you as well.. For this and your other great posts in DIY. RocketPuppy and Huckleberried like this. @TrashCat - I adore your avatar!!! TrashCat and Huckleberried like this.